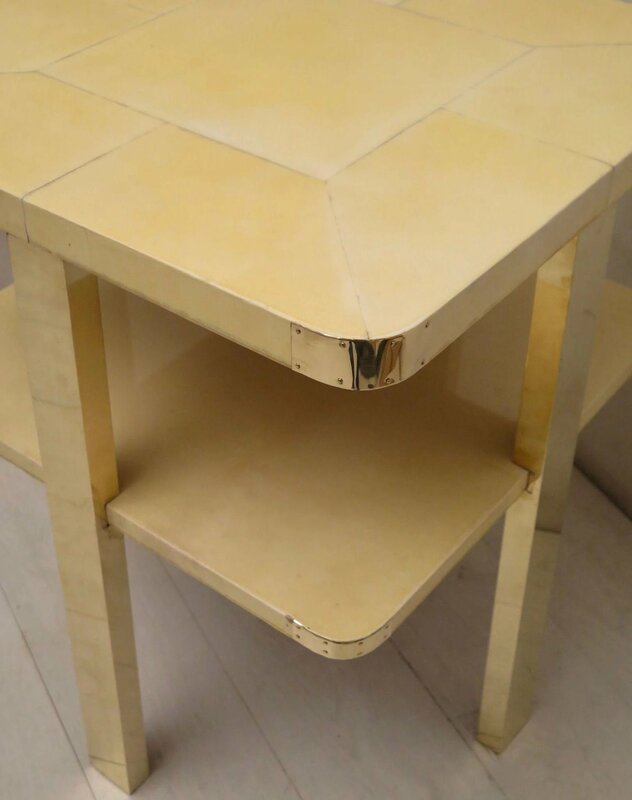 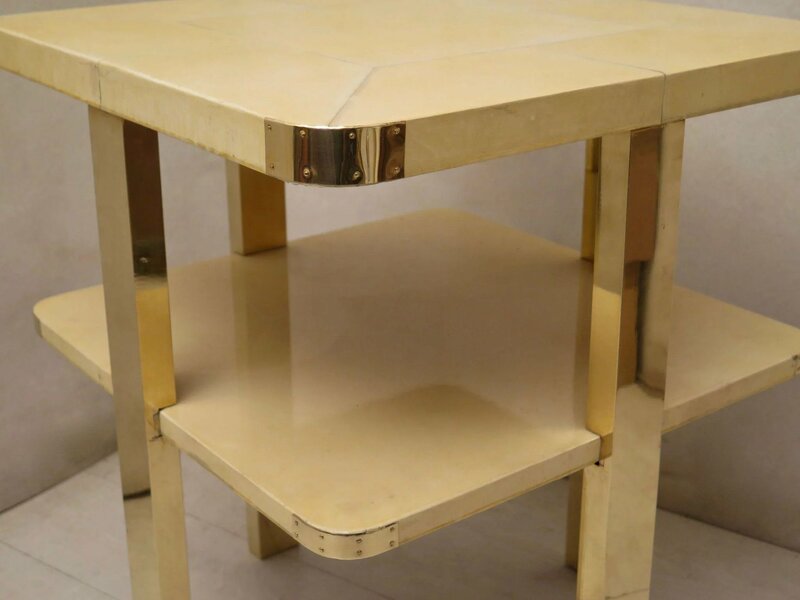 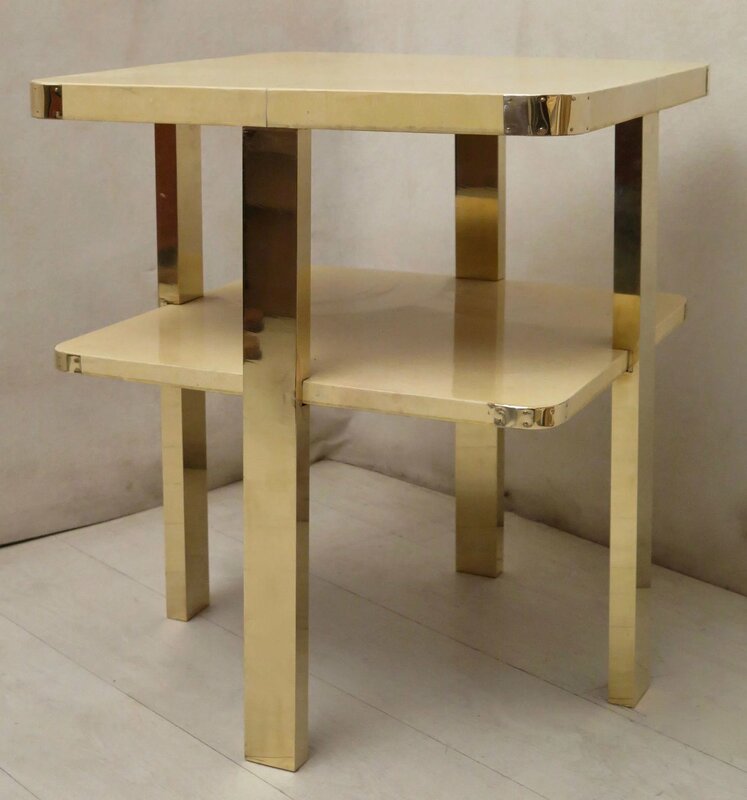 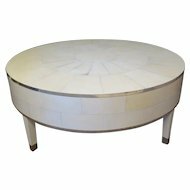 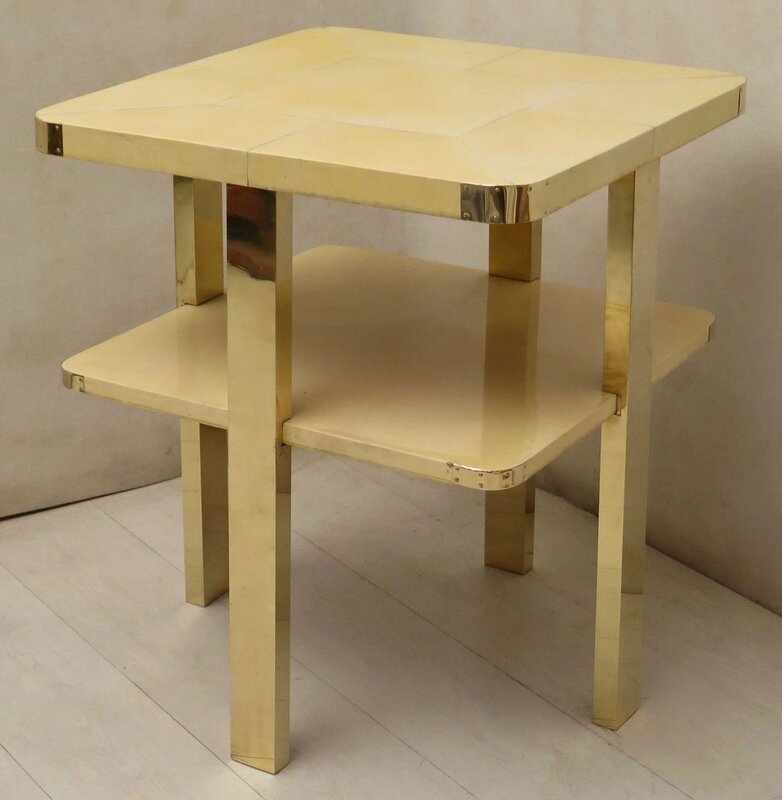 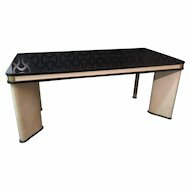 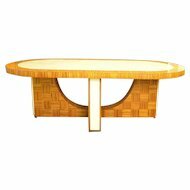 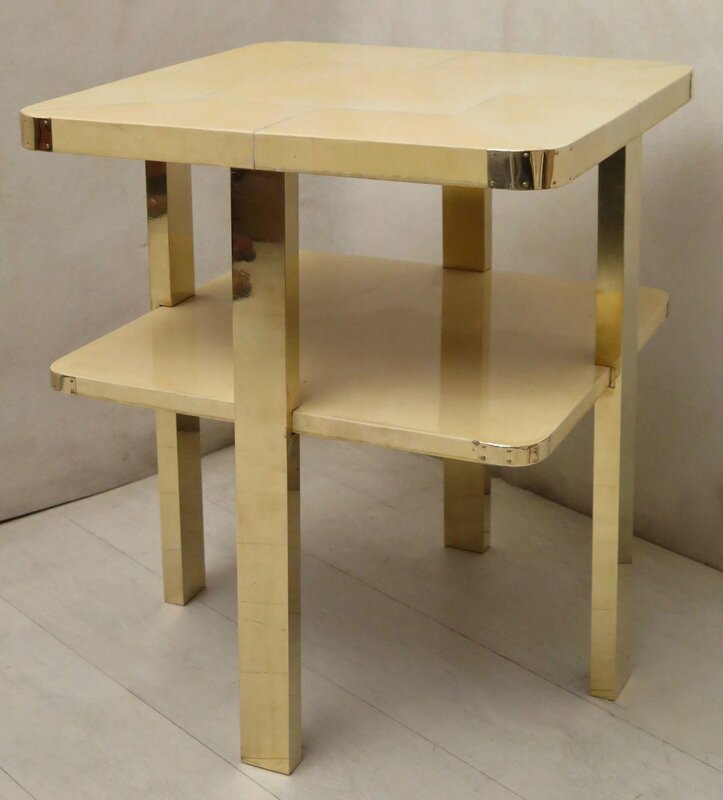 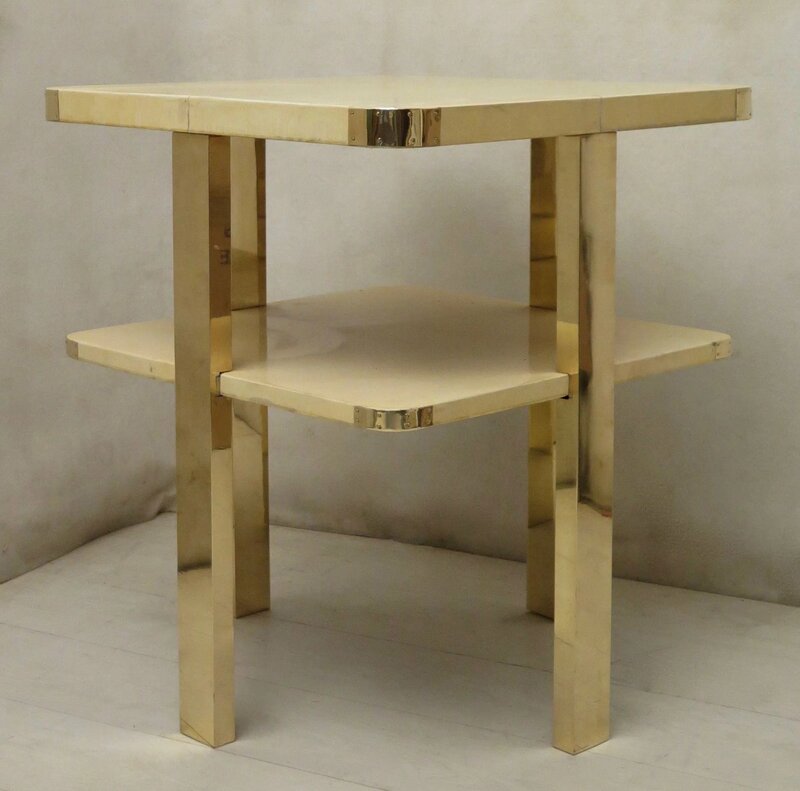 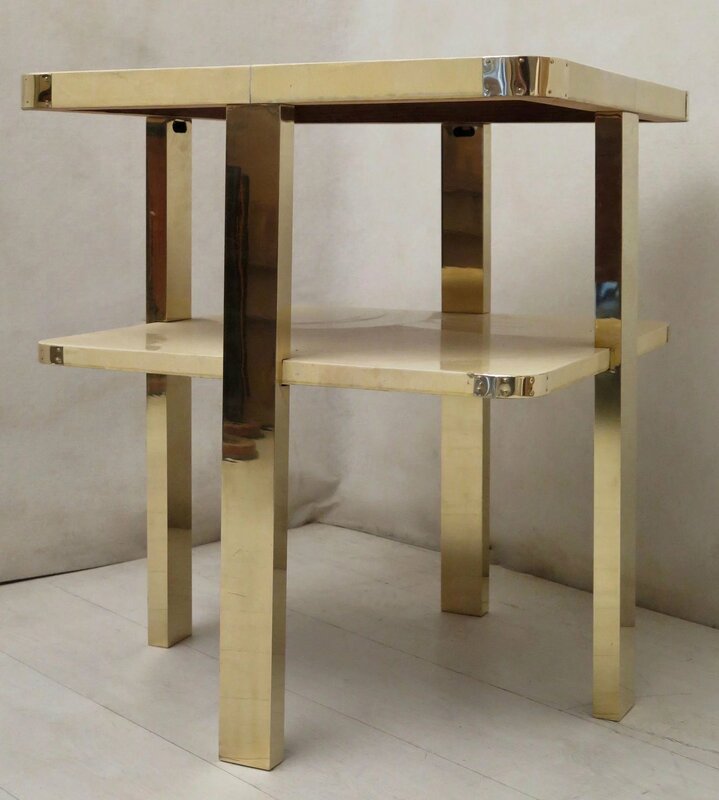 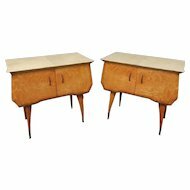 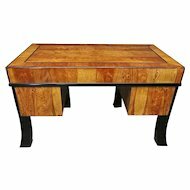 Art Deco side table covered in parchment leather with brass legs. 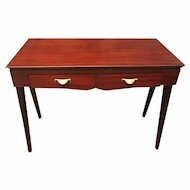 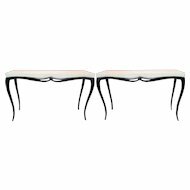 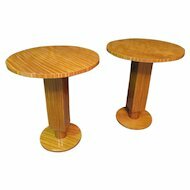 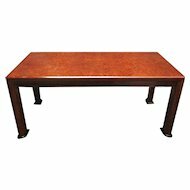 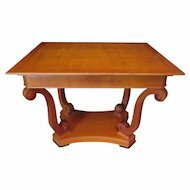 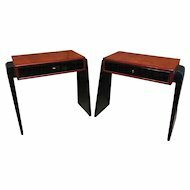 The legs with a rectangular base, come up until its fixed under the top. 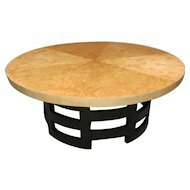 The top of the table above and below has rounded corners and are covered with brass bands. 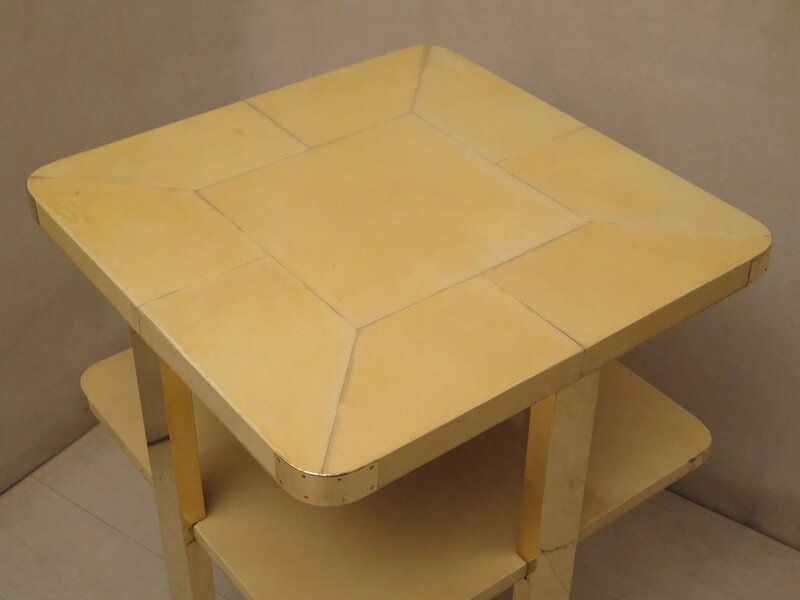 The top covered in parchment leather, forms a design with a large square in the center and smaller rectangles on the edges. 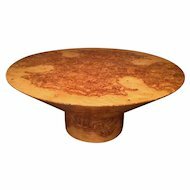 While the low top is always covered by a single piece of parchment leather. 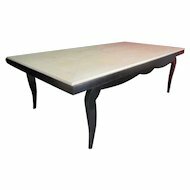 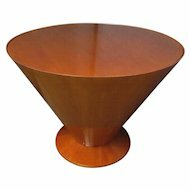 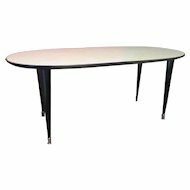 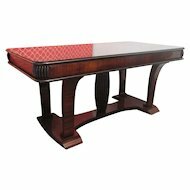 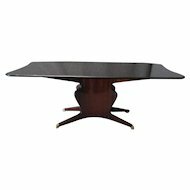 The table is polished in vitrified resin.